Every transformation is made to measure and handcrafted to your exact specification to ensure a perfect fit. One of our experienced design consultants will visit you to take precise measurements and help you decide on the surface that best suits your lifestyle and colour preference. 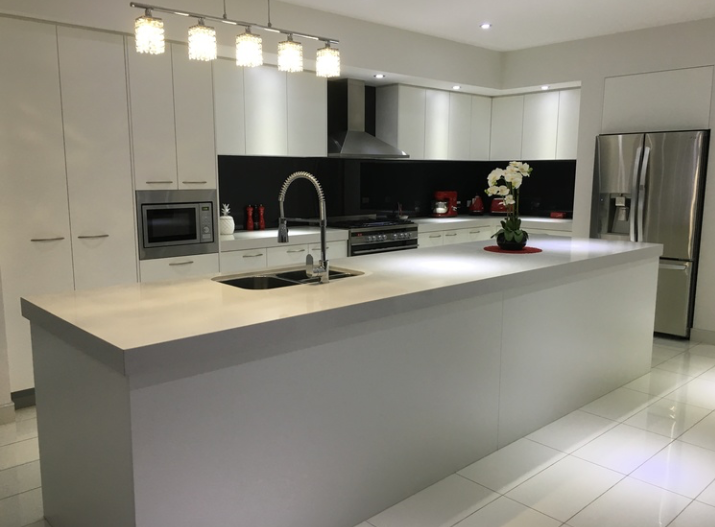 Many kitchen benchtop renovations like the one above can be completed in one day. Trend Surfaces can be used almost anywhere in your home from your kitchen benchtops to your bathroom, alfresco area, walls, office areas and much more….the possibilities are endless!